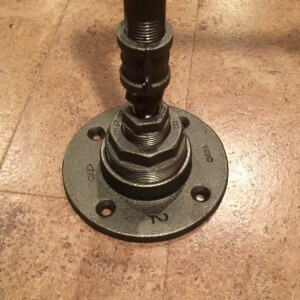 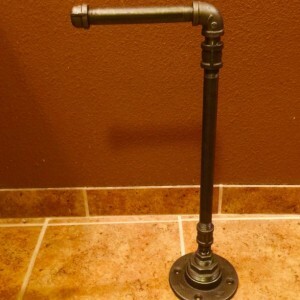 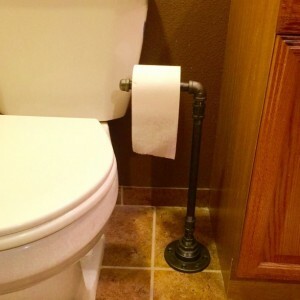 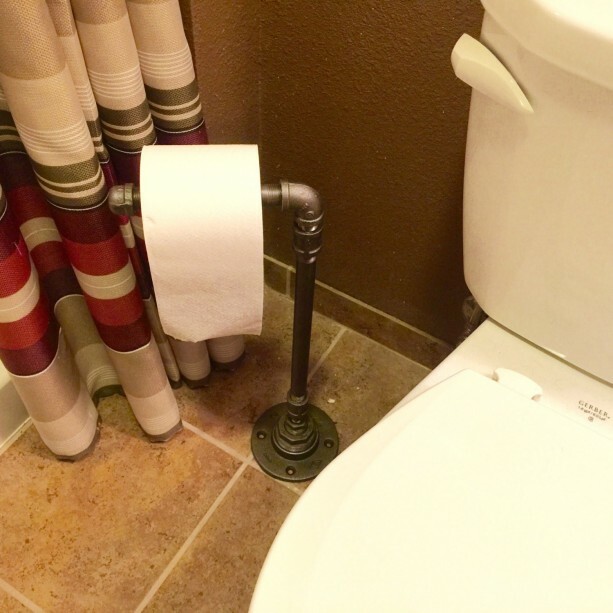 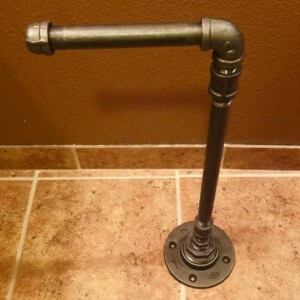 Toilet Paper Holder Made out of Black Pipe Heavy Iron Pipe Design Measures 20" tall, the base is 5" round and the toilet paper holder is 7" long. 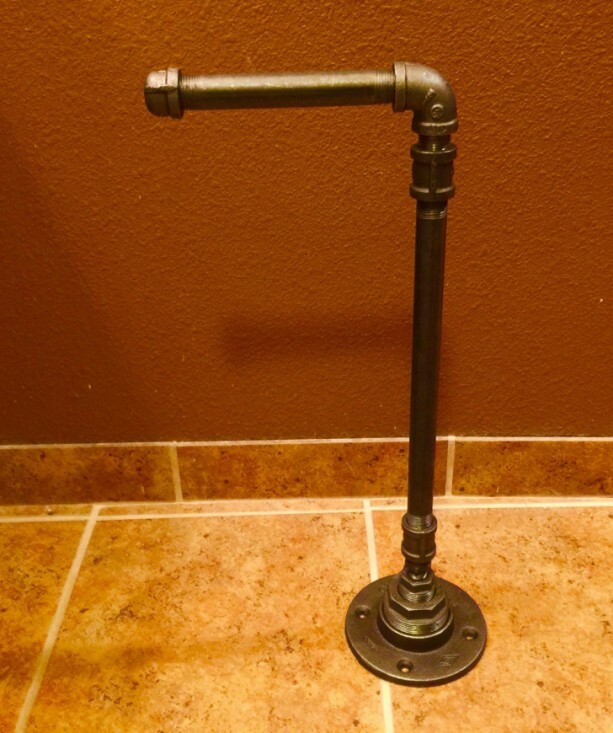 The holder weighs 4.5 pounds. 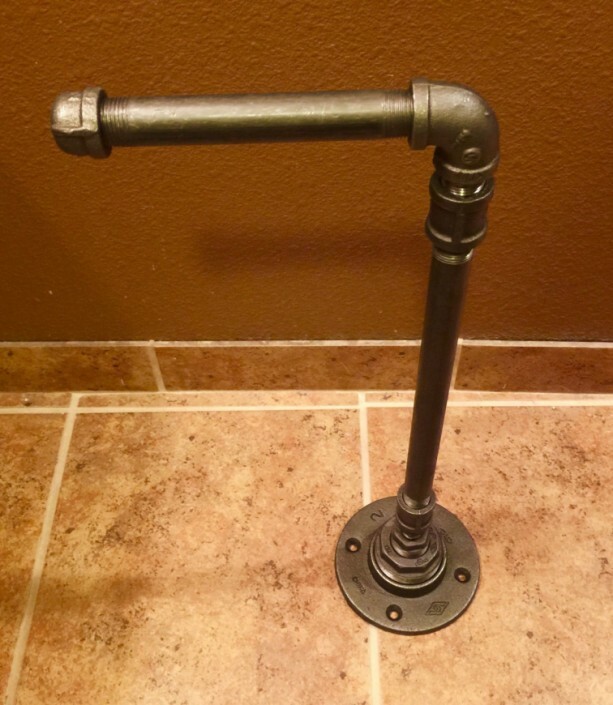 100% satisfaction guaranteed or your money back.Please reference the Q & A section in my Etsy shop for instructions on cleaning and more details regarding the black pipe products sold in my store.